Halal consumers, your opinion interest us !! Are you a consumer of Halal products or services, and would you like to share your opinion on the products you use ? Aren't you satisfied with the Halal products or services offer and wish to formulate your comments ? 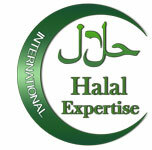 Do you have experience in Halal and would like to share this with us ? Are you a student and want to work on Halal and look for an interesting topic ?